Happy New Year everyone! I took a couple weeks off during the holidays to re-charge and reset. I am back now and as it is the start of the new year it is also only natural that we should talk about some of the new design trends to look out for in 2017. This time I am going to talk about some of my favorite trends from the past year and how we can move forward with these styles. Here are my top 5 trends for 2017 and what to leave behind in 2016. Ok so don’t get me wrong, I still LOVE white marble (an example of this can be seen on my lap top cover, my iphone cover and my new water bottle which are all designed in white marble). 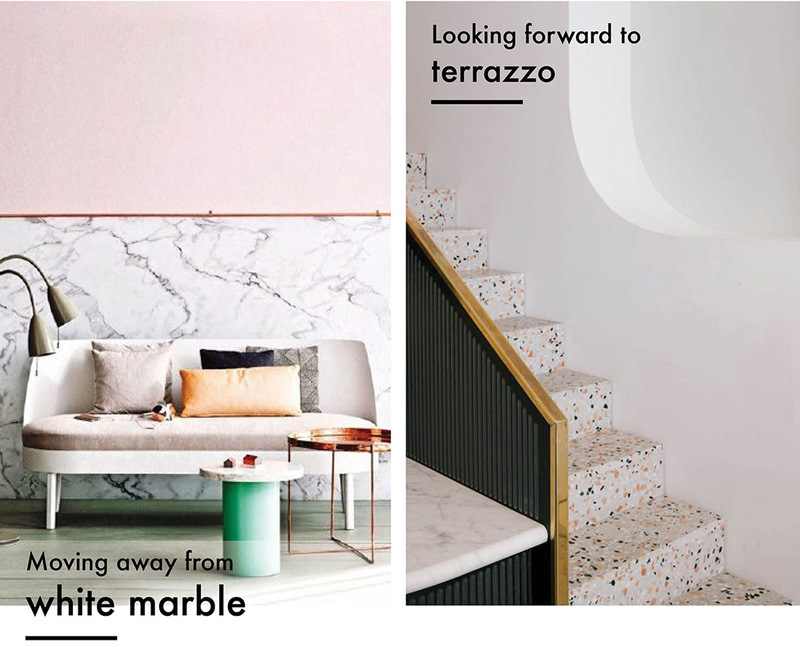 I do think however that this is a trend that we have been seeing for quite some time now and although it is a classic look, there is a very exciting stone that is definitely having a moment right now and that is terrazzo. Keep your eyes peeled for this (also classic) design in 2017. So the soft tones of pinks will forever be a favorite of mine. Even though I am such a fan of these hues it is about time to move forward into other staple colors for the new year. One of my favorite shades is deep jewel tone greens that adds to the current trend of live greenery in our interior spaces. 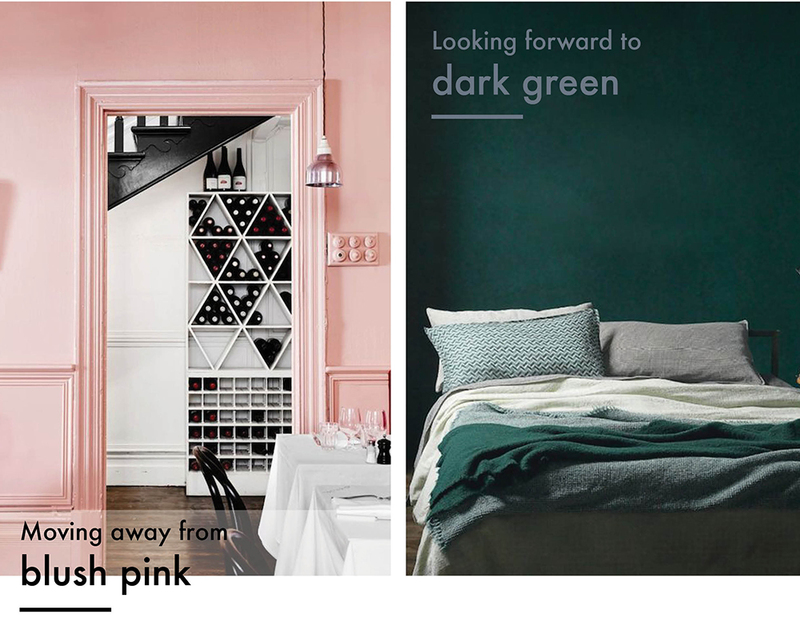 Look for some deep greens this year as an alternative to blush pinks. I think there is a movement happening away from high gloss and more toward unfinished woods. 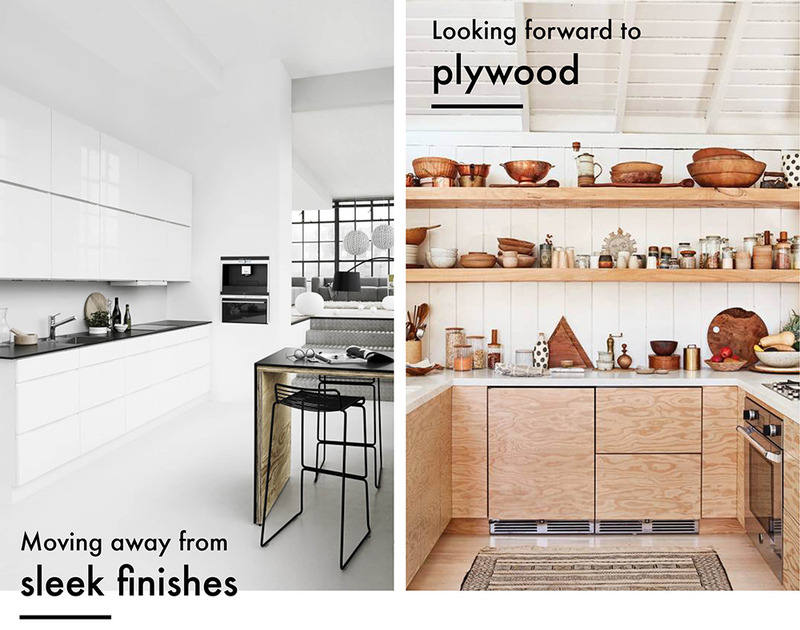 Unlike reclaimed rough woods, materials like plywood can provide a modern light, airy and unfinished take on furniture, decor objects or even kitchen cabinetry like seen above. Handmade artisan decor objects are everything right now. These products are stunning in the home and provide a simple yet chic element to your decor style. I also love supporting local artists and designers who make these pieces. 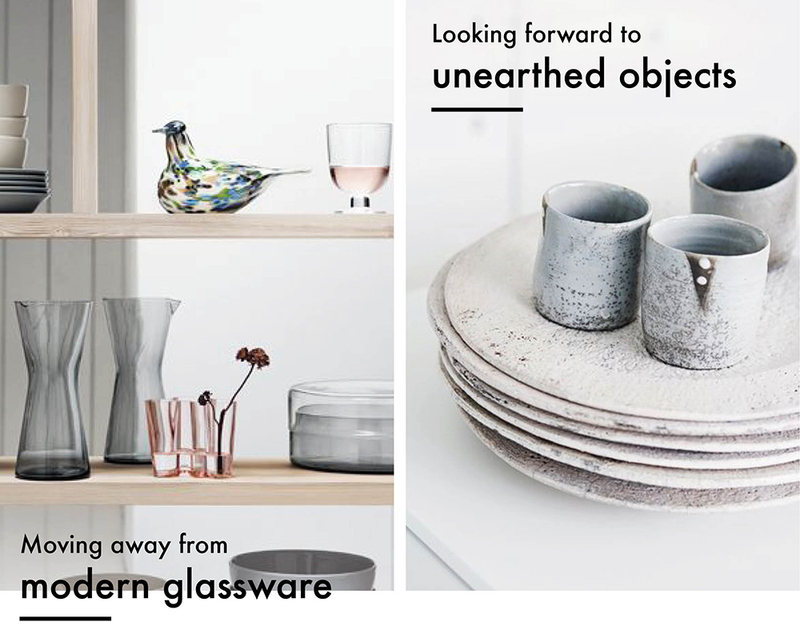 I am personally moving away from sleek modern glassware and more towards unearthed objects at home. 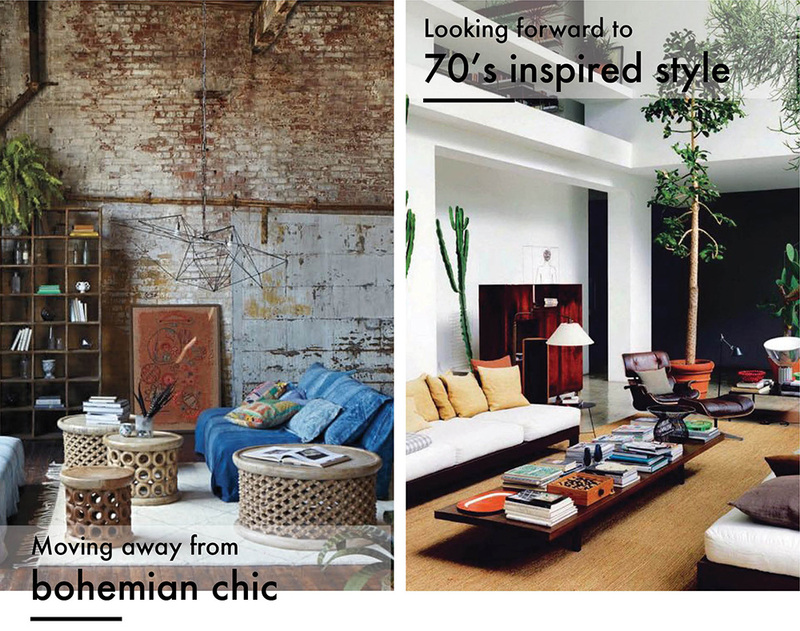 Bohemian chic always provides a wonderful aesthetic but right now there is a massive movement toward 70’s inspired style (just check out the Gucci campaigns for all of 2016). This trend is also transcending into interiors and pieces like simple brass, mid century modern designs and greenery accents are definitely an important look in 2017. Nice article! I’m happy to see that I’m already trending 2017…I don’t need to make any changes this year, everything “old is new again” ! Thank you, I enjoy your site !